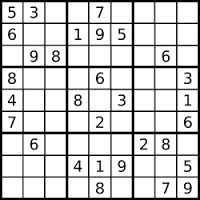 The name "Sudoku" stems from two Japanese words: "su", which means "number," and doku, which means "single." Translated, it mostly means "single numbers only." Speaking of the name Sudoku, did you know that the Japanese don't call it that? They call it by the name Sudoku's original creator gave it: Number Place. Actually, Sudoku isn't a Japanese game it all. It's American invented. Howard Garns created it as Number Place in 1979 but died in 1989 before Japanese publisher Nikoli got a hold of it. The game didn't really take off until 2004 though, when Wayne Gould convinced The Times in London to publish it. Sudoku caused a 700% increase in the sales of pencils! Wayne Gould, New Zealander and retired Hong Kong judge, calls himself the stepfather of Sudoku. He stumbled upon a Sudoku book in Tokyo while vacationing there. Will Shortz, The New York Times crossword editor, told Fortune in October 2005 that "the craze, judging by history, will last four, five, six months, and then it will taper off." He changed his mind by the May/June 2006 issue of Psychology Today and admitted that Sudoku had the staying power of crossword puzzles. Pencil sales increased 700% in the year following Sudoku becoming popular. No one knows exactly how many Sudoku players there are around the world due to the various ways to play, such as online or in the paper. Sudoku is considered highly addictive. There are only 5,472,730,538 possible Sudoku puzzles!